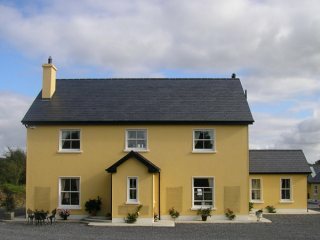 Galway East Tourism - Craig Country House B&B in East Galway, West of Ireland.Galway East Tourism - Craig Country House B&B in East Galway, West of Ireland. A luxury B & B with an old country house atmosphere. In 2006 Tom & Mairead set about the task of building a luxury B & B with an old country house atmosphere to it; the result is "Craig Country House". We welcome all guests to our home and take special care of their needs.